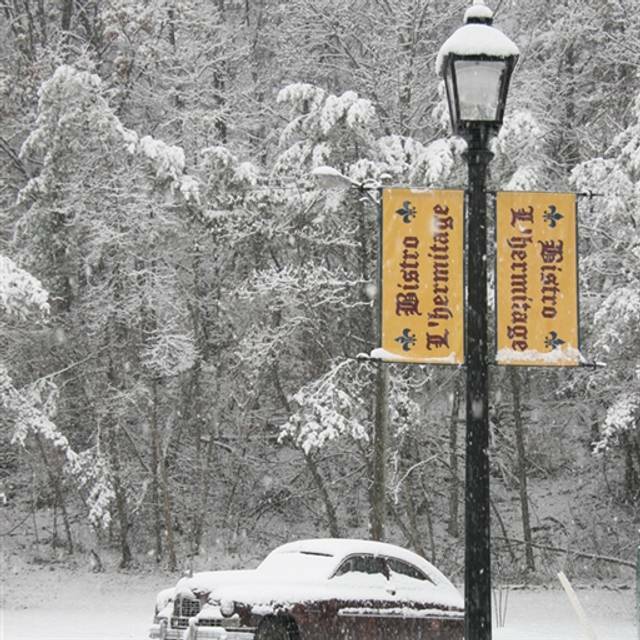 You must make reservations at least 5 minutes in advance of the time at Bistro L'Hermitage. We accept parties between 20 to 120 people. 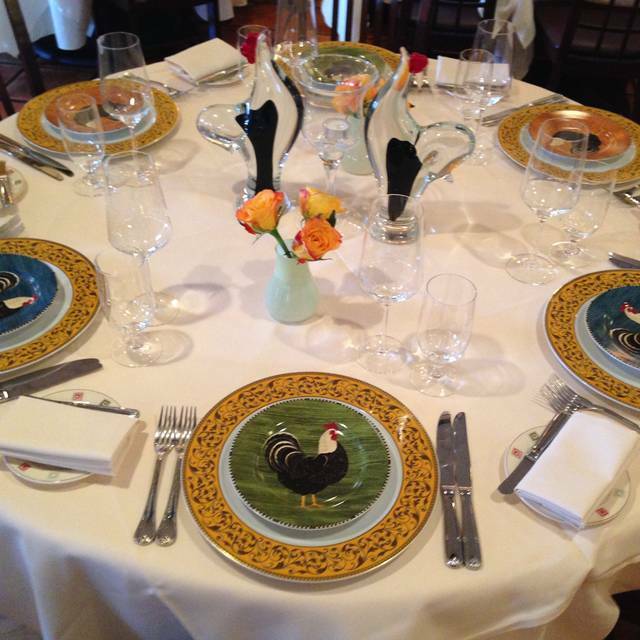 The food and service is always top notch especially for those special occasions! Restaurant decor looks old. I ordered duck leg and was too salty. Dessert is so good. Our waiter was great! We went for our anniversary and it was a perfect evening. The service was outstanding and the food was delicious. We look forward to going again with the family. The servers are all very cordial, knowledgeable and professional. The entire staff is very welcoming and make you feel as though they are truly happy to have you dine with them. The food is consistently excellent! We’ll be back in the future. 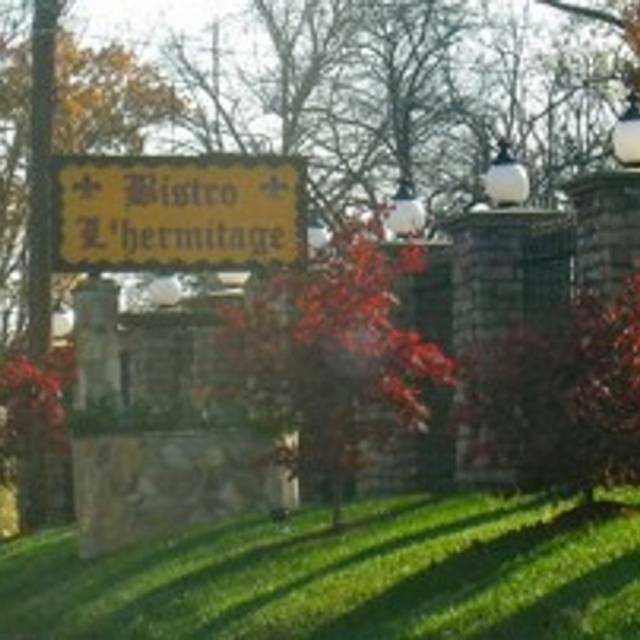 We dined at Bistro L'Hermitage on Sunday to celebrate our anniversary. They did not disappoint. Service, as always, was exceptional. We both ordered the onion soup; excellent, but would have preferred it in the traditional crock, overflowing with cheese. My wife had the tuna tartare, which she enjoyed; I had the foie gras on a brioche slice with baked apple slices - it was up there with the best I've ever had, and a generous portion for the price. Entrees - she had grilled salmon, perfectly cooked; I had a special - hanger steak and crab/shrimp cake combo. Excellent. We ordered a creme brulee to share - it was excellent. But the waiter also brought a complimentary chocolate mousse - it was sublime. We started with Manhattans - generous pour, excellent mix. I especially like that as you exit, instead of the usual mints, there were large bowls of both jelly beans and chocolate almonds, plus a large spoon in each to take a generous portion. Such a cozy and romantic restaurant with impeccable service! We had the Chef's tasting menu, so the only reason why I did not give it 5 stars on food is because they brought out goose liver and I was not a fan lol.... everything else was delicious. Love this place. A fantastic time was had. This restaurant never disappoints! My husband and I came here for our anniversary. We did the 5-course tasting paired with wine. Everything was excellent and I tried things I would never order myself. Doing that tasting opened my food horizons. We were happy to learn they do brunch, so we’ll definitely be back. Awesome experience on our return visit with friends. If I could only use one word, I’d say “impeccable”. I wish I could visit every day! The entire experience always leaves me feeling as if I’m their favorite patron. The staff is friendly but efficient, the food is delicious, and the noise level permits discussion to flow. The prices are very reasonable which encourages frequent visits. Thank you for always exceeding my expectations! The price is comparable to restaurants such as Trummer's on Main in Clifton or Le Diplomate in DC, but it is quieter, which is important to me. The food, the service, and the ambience are all outstanding. It is my favorite restaurant for special occasions. 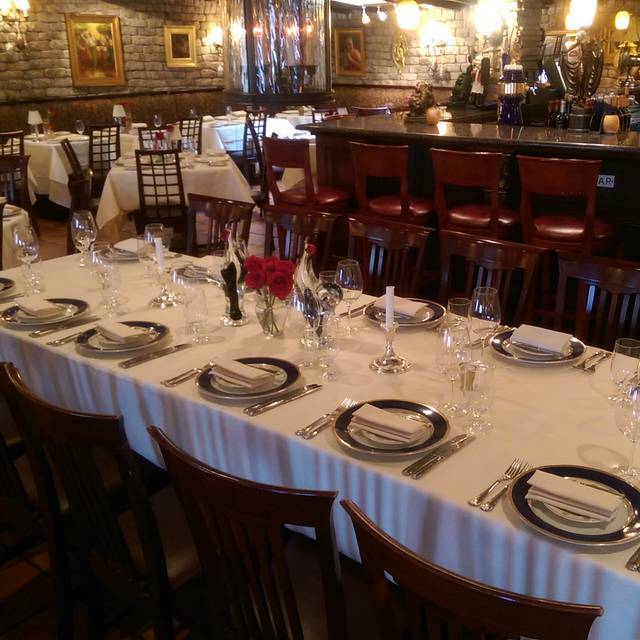 If you love French food and the charm of a quaint restaurant, then this is the place for you. Every bite of food was just heavenly. Every one of the staff was not only friendly but assisted each other to bring customer service up to a higher level. The only minor complaint I have, mainly because we were near a speaker, was with the music level being just a bit loud. Such a cozy restaurant with a lot of character! Great food and exceptional service! Great place and wonderful value. I highly recommend. Only wish they had outdoor seating and takeout. We had an unbelievable lunch. Everything we ate was above our expectations. Can’t wait to go back. L'Hermitage is a wonderful restaurant. Food was terrific and service perfect. Would always recommend. Truly one of the finest restaurants in the Va/DC area. 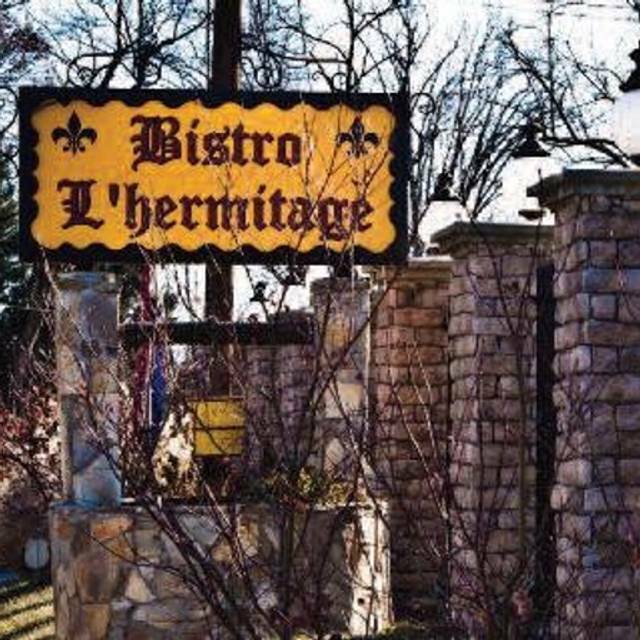 We’ve traveled all over the world and L’Hermitage is in the top 5 restaurants that we’ve dined in. Not only is the quality of the food superb, the wait staff is consistently professional without being obtrusive. Also, the wine list is manageable with some great Bordeaux’s, fairly priced . We highly recommend it to all. 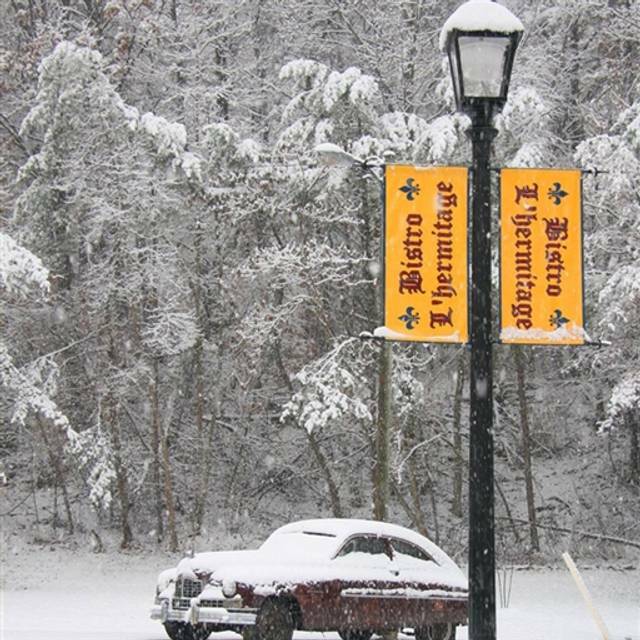 We love Bistro L’Hermitage. We’ve never had a bad experience there. Youssef, Lotfi and Hasson make our family feel like we’re eating at home with close friends. The food is amazing and their attention to detail is spot on with every dish. Great French Food with great service at a reasonable price. So, why did I give it four rather than five stars? Way too noisy. I don't recall it being this noisy in the past so I hope that this was an unusual evening rather than a trend. I recommend them. 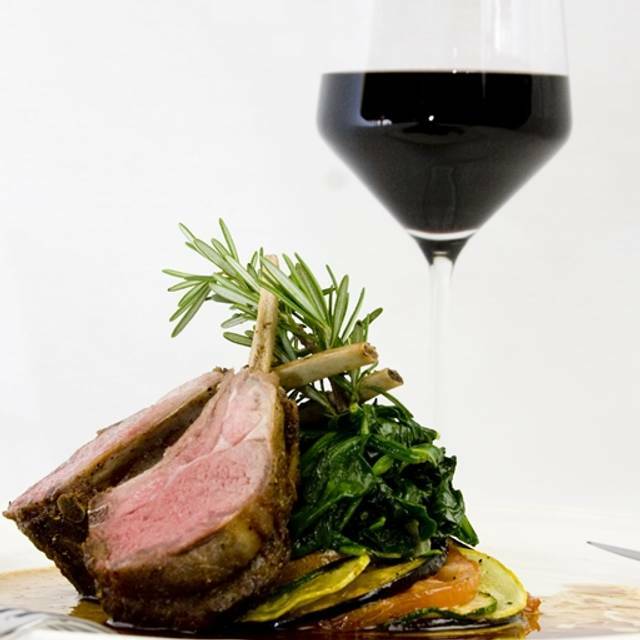 The service is great and their wine and food is very good. Incredible food, excellent service and a great atmosphere! We will definitely make this a regular go to spot for dinner! We have found our new favorite place for special occasioma. Such a charming place with great waitstaff and beautifully presented and delicious food! A true culinary experience. I have been to this restaurant several times and each time the food and service have been great. The food and service were excellent as usual. We both had the filet which came with potatoes and asparagus at a reasonable price. 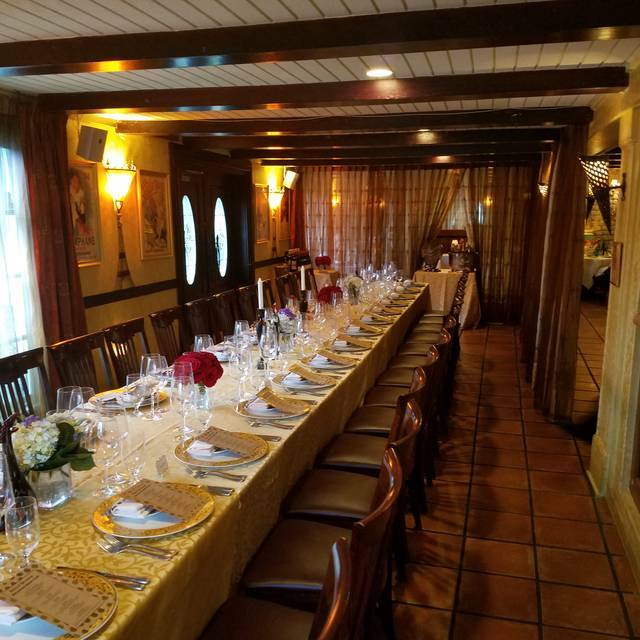 This is a great place whether for a special occasion or just a get together. Superb food and wonderful service. Our experience at the Bistro was exceptional. The service was outstanding. The food was fixed to perfection. The atmosphere was wonderful. We will visit often! Lovely birthday brunch with my sister. Eggs Benedict were delicious. Bread basket to die for. Attentive service and lovely surroundings. An excellent evening! Our party of 4 was very impressed with the entire evening experience. The hospitality was great. As was the food and service. We will come again. Excellent service was a very festive evening at this awesome place. Food was outstanding! Wonderful experience! We had a great dinner with great service and the atmosphere was very pleasant. Truly the best food and service we have had in a very long time. Can not fault them on a single thing. Very enjoyable dinner. We will return for sure. Great food and great service. Give yourself a treat and go here. Loved it! I took my best friend for her birthday and it was amazing. Our waiter James was wonderful. I had the lobster bisque (delicious) and the sea scallops with roasted potatoes and the spinach with garlic cream...the scallops were amazing! The potatoes and the spinach were good. I felt like the spinach needed the garlic cream sauce (I didn’t taste it) and the potatoes were just okay. The scallops were cooked perfectly and had a delicious wine sauce on them that was unexpectedly paired but delicious. My friend had the beef bourginon and she loved it. The desserts!! Mousse was excellent. We did the trio and it was perfect! Would order that again....and again. Ambiance was warm and comforting. French and pear martinis were delightful. 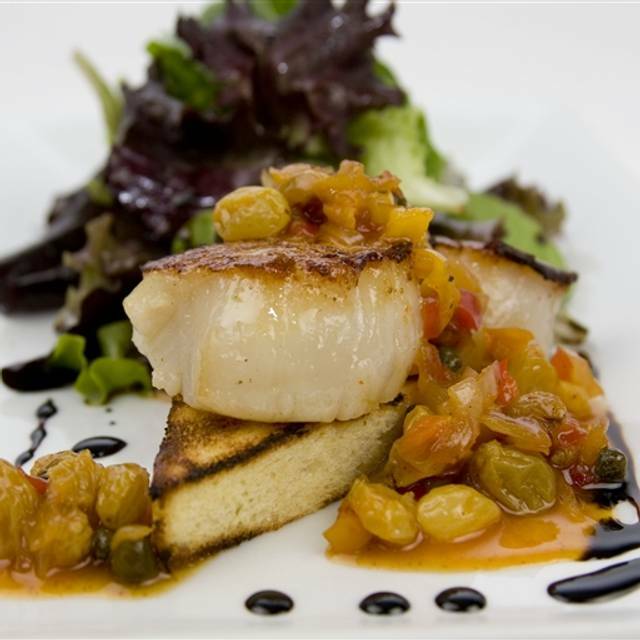 It’s an upscale gem in Occoquan! Loved the relaxed dining experience. The food was wonderfully delicious. The service was attentive and not rushed. It is always amazing event at the Bistro from the waiters to the front of the house and Management everything is superb! Great restaurant with wonderful service and outstanding food. We always enjoy going there.